Oppo Find X was launched in India earlier today at an event in New Delhi. The phone was launched in Paris on June 19. 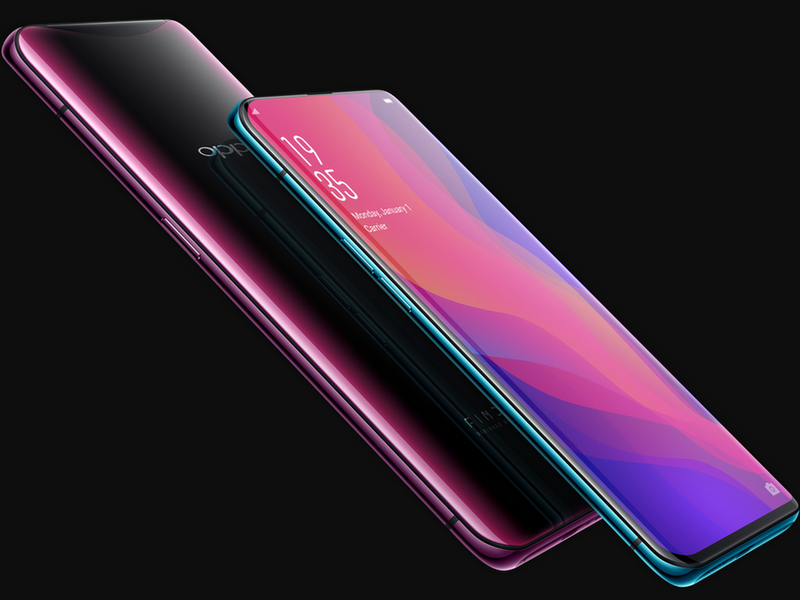 Oppo Find X features a full screen display and comes with high-end specifications Oppo Find X has a price of Rs 59,990 and it will go on sale from August 3 on Flipkart. com exclusively . Oppo will launch its Lamborghini edition of Find X in India soon, though the price and release date is still not known. The dual-SIM Oppo Find X runs on Operating system 5.1 based on Android 8.1 Oreo out-of-the-box. It has a 6.42-inch full-HD+(1080x2340 pixels) display with a 19.5:9 aspect ratio, screen-to-body ratio stands at 93.8 %, pixel density of 401 ppi and brightness of 430 nits, .The handset is powered by 64-bit, octa-core Qualcomm Snapdragon 845 , which comes paired with an Adreno 630 GPU and 8GB of RAM. The Oppo Find X has a dual camera setup on the back. The the primary camera has a 16-megapixel sensor and secondary camera has a 20-megapixel sensor, both with f/2.0 aperture, and LED flash. On the front, this smartphone gets a 25-megapixel selfie 'AI 3D' camera with the same f/2.0 aperture. There is a 256GB of inbuild storage (non expandable). It has a 3730mAh battery with VOOC fast charging, said to deliver 2 hours of talk time with 5 minutes of charging. Connectivity options has 4G VoLTE, Bluetooth v5.0 LE, GPS, dual-band Wi-Fi 802.11ac, and USB Type-C. Dimensions of the phone are 156.7 x 74.2 x 9.6mm . Weight of the Oppo Find X is about 190 grams. The highlight of this smartphone is its "hidden 3D cameras" which are embedded inside the body and pop out from the top of the phone. The motorised unit has a front camera, dual rear cameras and several sensors. This has removed the need for a notch on the 6.42 inch Panoramic Arc screen, allowing Oppo to achieve a 93.8% screen ratio. The smartphone does not have a fingerprint sensor instead it has a very efficient facial recognition, which uses 15,000 facial dots recognition and IA. The company claims it's 20 times safer than fingerprint recognition for unlocking the phone.